Kirk Hill Trail is a self-guided interpretive trail that is short, steep, and mostly in the shade until it emerges to a ridge with views of the Madison and Gallatin Ranges. 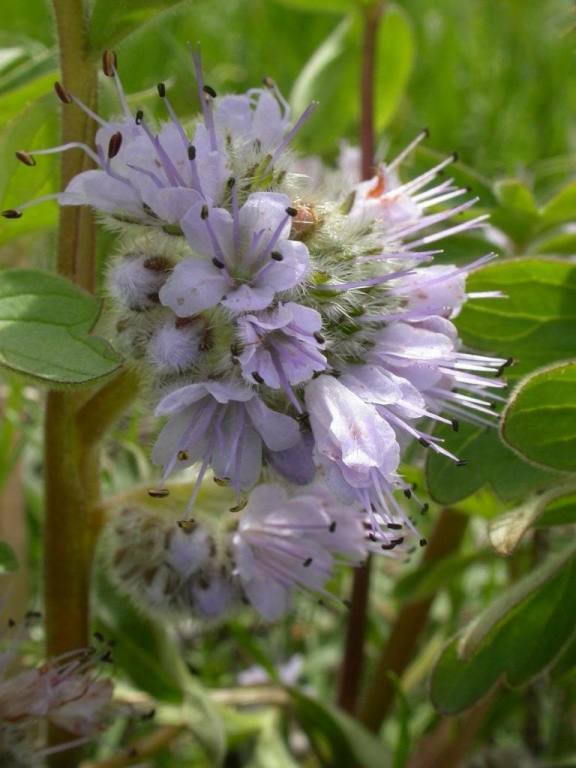 Many species of wildflowers, shrubs, and trees and also points of interest are identified with signs established by Montana State University’s Museum of the Rockies and the Kiwanis of the Bridgers’ club. The trail crosses two bridges and has three benches for resting during the steeper ascent. If you hike after or during a rain, be prepared to slip and slide. Also be prepared to find masses of flowers that love the shade and some that nearly blend in with their surroundings. Depending on the weather, these flowers can be seen for a few weeks. Watch for calliope hummingbirds near the trailhead. From Main Street in Bozeman and 19th Street, drive south for 6 miles to the signed trail head parking area on the left at a sharp right bend in the road. NOTE: En route, 19th Avenue becomes South 19th Road. Turn left and park in the parking area. The parking area is also an easy bike ride from the MSU Campus. The trail starts in a marshy meadow heading south and rapidly climbs for ¼ mile into dry hillsides covered with groves of Douglas fir, aspen, juniper, and sage. Posted trail maps direct the hiker through the two additional interconnected loops of 0.3 and 0.6 miles in length. 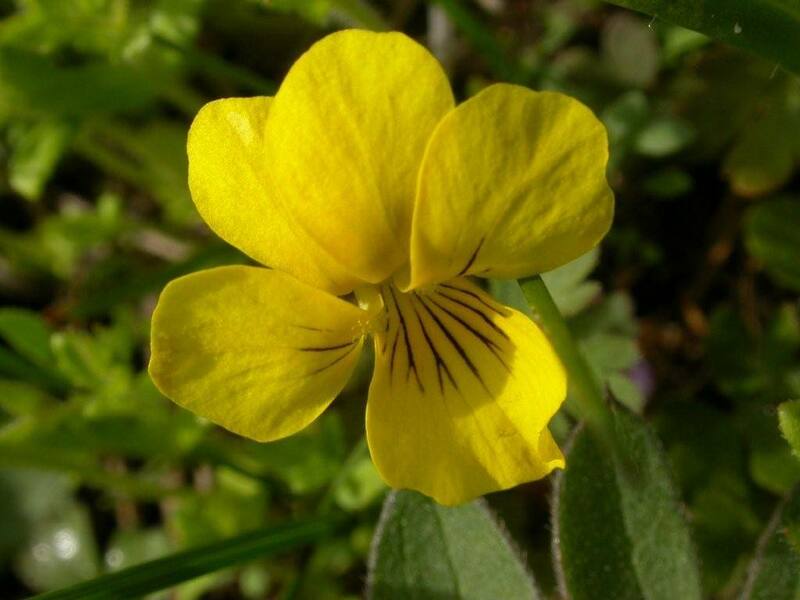 As early as April, you may find stream violets (Viola glabella), Canada violet (Viola canadensis), sagebrush buttercup (Ranunculus glaberrimus), few-flowered shooting star (Dodecatheon pulchellum), yellow bell (Frittaria pudica), glacier lily (Erythronium grandiflorum), and pasqueflower (Anemone nullalliana). In May and June other flowers begin to emerge and include American bistort (Polygonum bistortoides ), starry Solomon-plume or starry false lily of the valley (Smilacina stellata), ballhead waterleaf (Hydrophyllum capitatum ), rock clematis (Clematis columbiana), wartberry fairy-bells (Disporum trachycarpum), blue dots of mountain forget-me-nots (Myosotis asiatica), and chocolate lily or leopard lily (Fritillaria atropurpurea). Trilliums (also called wake robins) (Trillium ovatum) are abundant on sections of the trail that are shaded and more moist. Few trails close to town have as many flowers in as small of a space as the three loops of the Kirk Hill trail system. Also more than 70 bird species have been recorded in the area and an occasional mule deer, elk, moose, and bear. 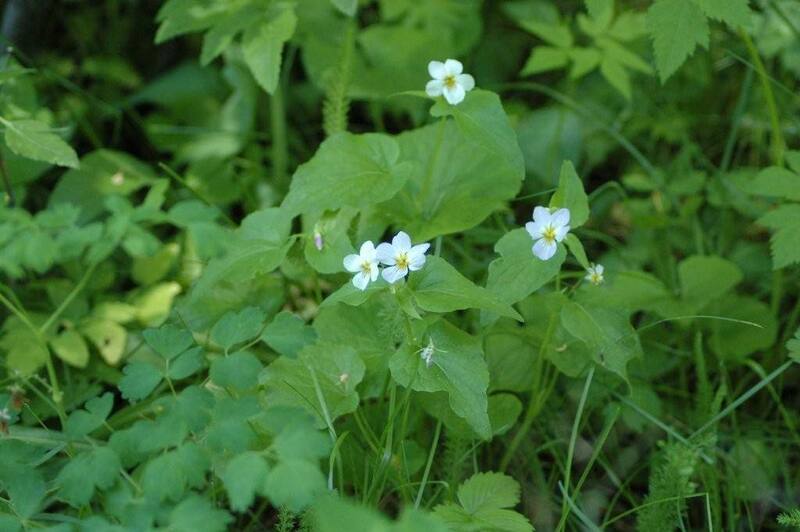 Violets may linger in the wetter early section of the trail until mid July. Lupine wands scent the air throughout the trees as you emerge up into the more open pine- and fir-covered hillsides. Arrowleaf balsamroot (Balsamorhiza sagittata) can be found near the top of the rise when they may be past prime on other south facing slopes like the “M Trail” Be sure to look closely for spotted coralroot (Corallorhiza maculata) and striped coralroot (Corallorhiza striata) among the seed heads of heartleaf arnica (Arnica cordifolia) and beneath birchleaf spirea (Spirea betulifolia), ninebark (Physocarpus malvaceus) and huckleberry (Vaccinium spp.) bushes. Trail Notes: Kirk Hill is a popular trail with MSU students. While it is a great wildflower trail, many of the students are more interested in the workout you can get by hurrying up the trail. From the top, a trail connects Kirk Hill to Bozeman Creek and the Hyalite Creek divide. Neither bikes nor dogs are permitted on the trail. 5-14-2012 An abundance of flowers are now present, primarily due to the "early spring" and "warm temperatures." Flowers we normally expect in early June are beginning to bloom. We logged: Glacier Lillies, Pasqueflowers, Spring Beauty, Buttercup, Forget-me-not, Bluebells, Cous Biscuitroot, Oregon Grape, Rock Clematis, Ballhead Waterleaf, Trillium, Calypso Orchid, Arrowleaf Balsamroot, Larspur, Alpine Star, False Solomon Seal, Nuttal's violet (yellow), Sugar Bowls, Prairiesmoke, and Canada Violets. 5-21-2012 The trail today was a "blue day." The hillsides were covered with Rock Clematis, Ballhead Waterleaf, Sugar Bowls, and Bluebells. The real surprise was the large number of Trilliums that were blooming in the shaded and moist areas on the east branch of the trail. We hiked Loop 3 of the three loops heading up Kirk Hill. The trail remains quite steep and would be quite challenging in the rain. Various groups have committed to making the trail more accommodating to hikers by repairing fencing, cut-throughs, and trail steepness. Watch for changes starting this year. On this day we saw lots of the early flowers and many of the ones we would normally see in early June. 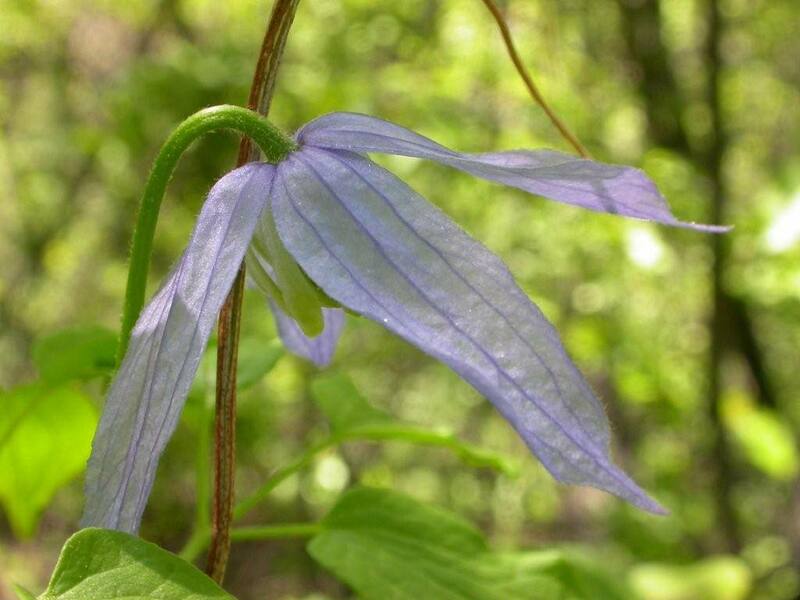 The real flower show on this date included starry Solomon-plume, heartleaf arnica, rock clematis, bluebells, Canada violet, ballhead waterleaf, American bistort, spring beauty, woodland stars, and sugarbowls. Others noted include stream violets, sagebrush buttercup, few-flowered shooting star, glacier lily, wartberry fairy-bells, mountain forget-me-nots, many-flowered stickseed, tall pussytoes, Oregon grape, rue, baneberry, yellow violets, and a few chocolate lilies. Some arrowleaf balsamroot were blooming in the lower parts of the hike but likely were in full bloom at the top. Beautiful day for hiking. Most of the spring flowers are blooming including the rarer ones. 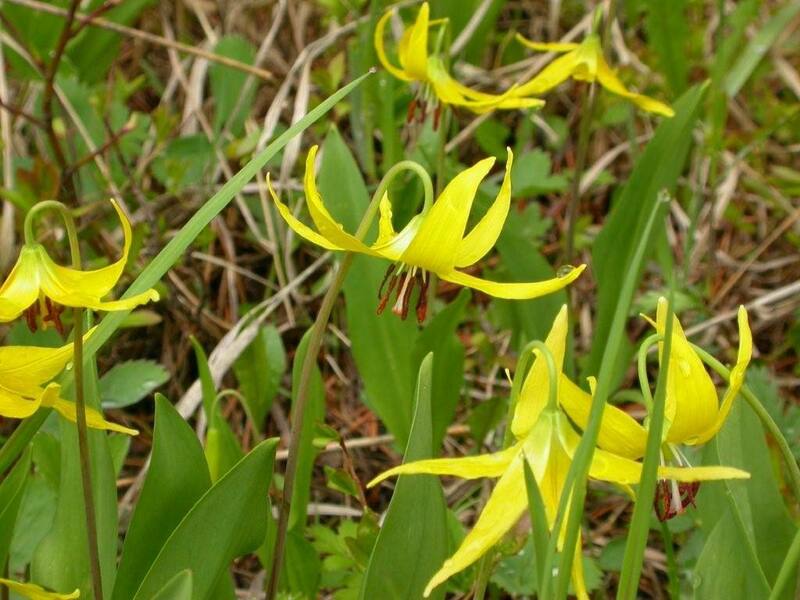 The special treats were the striped coralroot and the chocolate lily. There were high numbers of arrowleaf balsamroot and Canada violets. This is the only trail we have ever seen a pink clematis. Other flowers today include forget-me-not, false Solomon seal, lupines, arnica, columbine, woodland star, bluebells, field chickweed, ballhead waterleaf, prairiesmoke, larkspur, Nuttals violet, blue clematis (columbiana).